The Kickstarter campaign to help fund the print edition of Alternate Hilarities has been successful! Really looking forward to seeing the wacky cover up close! 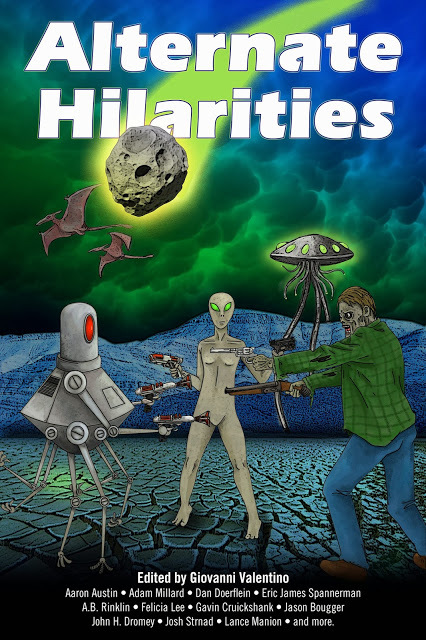 This entry was posted on Friday, March 28th, 2014 at 11:47 pm	and tagged with Anthology, Cover Art, Fantasy, Kickstarter, Paperback, Small Change, Strange Musings Press and posted in Alternate Hilarities. You can follow any responses to this entry through the RSS 2.0 feed.